The Rejected Quarterly is a small literary magazine sold at universities along the westcoast of the United States. It specialises on good fiction rejected by publishers at least five times. 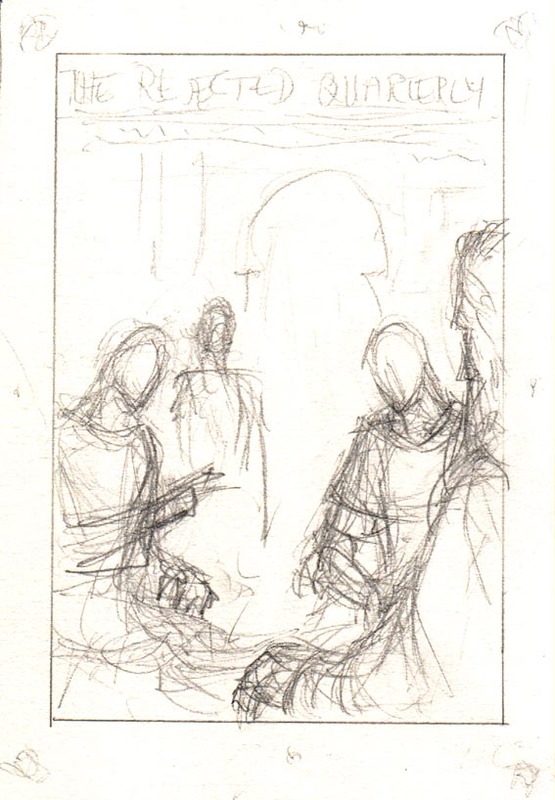 I was asked to design a cover for the edition of winter/spring 2004, with a Tolkien- (and rejection-) related theme. The cover is 8,5x11'', or 21,6x28cm. 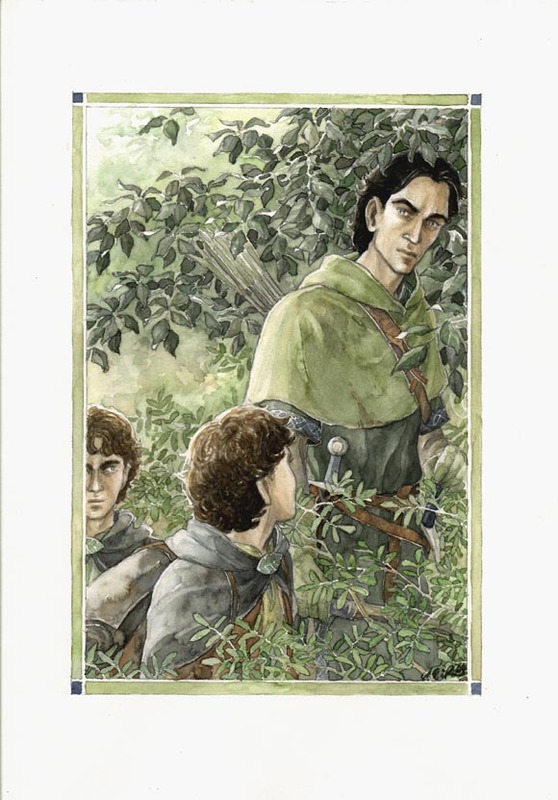 Since I was allowed to chose a Tolkien-related scene for the cover-illustration, I tried to find one that touches upon the theme of rejection. 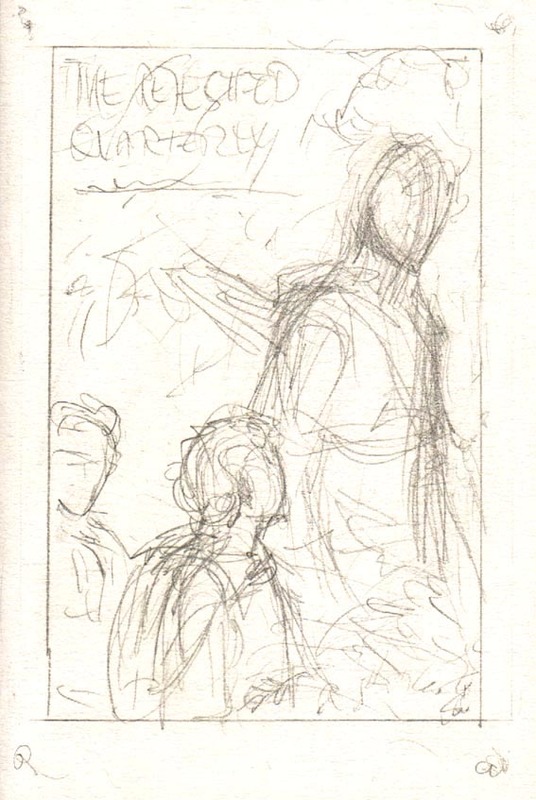 This sketch shows a scene from "Lord of the Rings", where Denethor quarrels with his unfavoured son, Faramir. 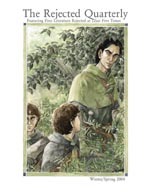 Another scene from "Lord of the Rings", this time featuring Faramir and the two hobbits Frodo and Sam. 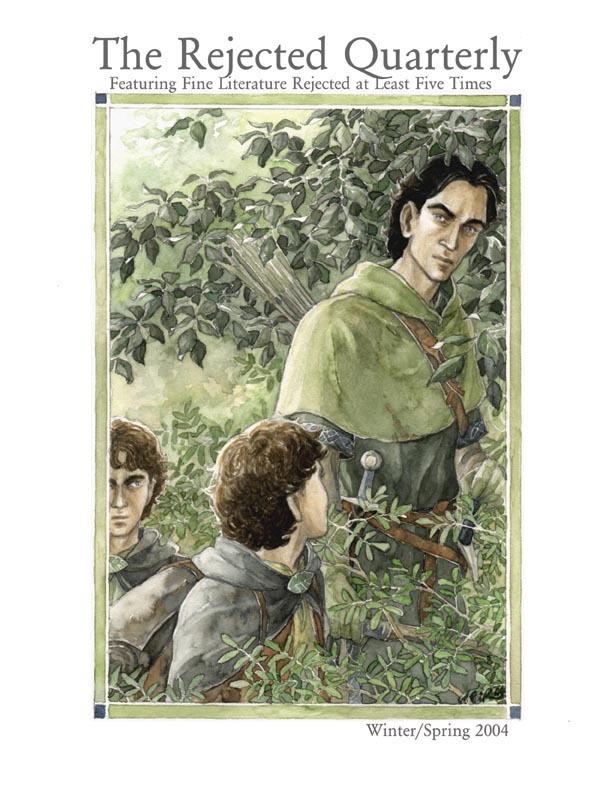 During their conversation, Faramir surmises that Frodo carries a dangerous weapon that might bring advantage in the war, but wisely rejects the desire to use it. The respective quote from the novel can be found here. The watercolour-version of the cover. The finished cover including the text. The typeface is Garamond.